Three members of our tribe showed up for the Remixing Fairy Tales and Superhero Lore panel at San Diego Comic-Con last week. On hand was Tracy Hickman, author of Wayne of Gotham, Tom King, author of A Once Crowded Sky, and Paul Tobin, author of Prepare to Die! Counsel at DC Comics gave Hickman the green light to do anything he wanted with the Caped Crusader. Therefore, the key for him was to approach Batman the same as everyone else. But do it a little differently. “You have to be a little bit arrogant when writing the story,” he confessed. King, on the other hand, said that writing new stories about preexisting characters was analogous to a tenor saxophone solo. In other words, the song has already been written, but the jazz performer is allowed to put his individual stamp on it. “As a writer you’re riffing off the original source material,” he said. Said Hickman in conclusion, “No matter what kind of story you are telling, you need to address fundamental and timeless themes. You need to go back to the classical to anchor the universal.” One thing is for certain: the hero’s journey has been around a long time, and it’s not going away any time soon. 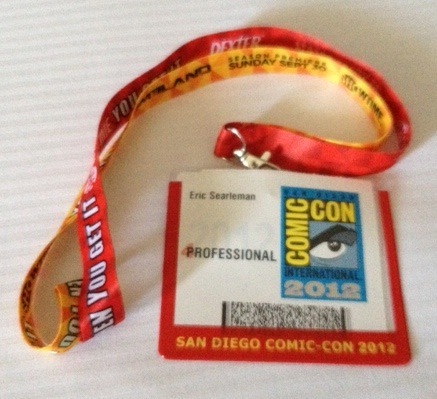 This entry was posted in Pre-existing and tagged A Once Crowded Sky, Paul Tobin, Prepare to Die, San Diego Comic-Con, Tom King, Tracy Hickman, Wayne of Gotham. Bookmark the permalink.